Hi guys. Greetings from Serbia. I used to drive Polo, and I will drive one in future. I used to read this forum as Guest for few years, and I really like it. Now I wanted to register myself as forum member. Hope to have good time here. 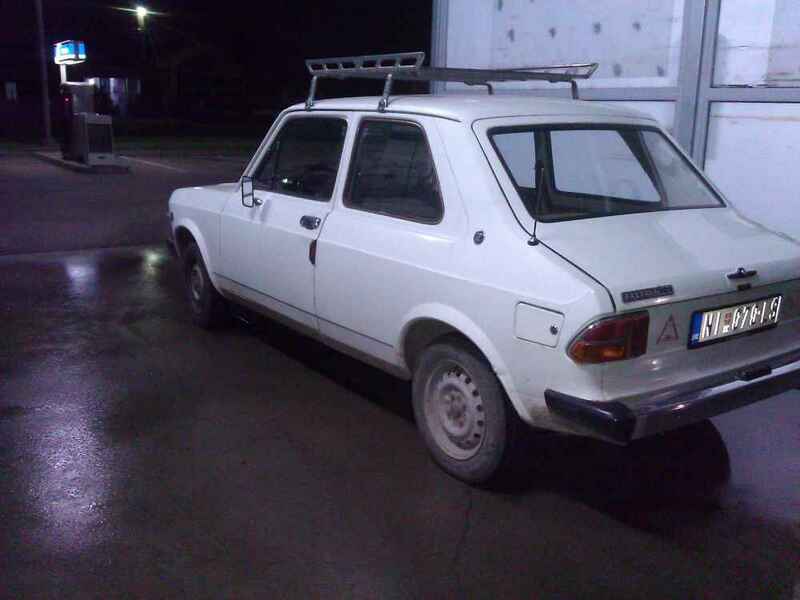 I bought this old Zastava/Yugo few days ago. I never meant to buy it, but it took my heart. 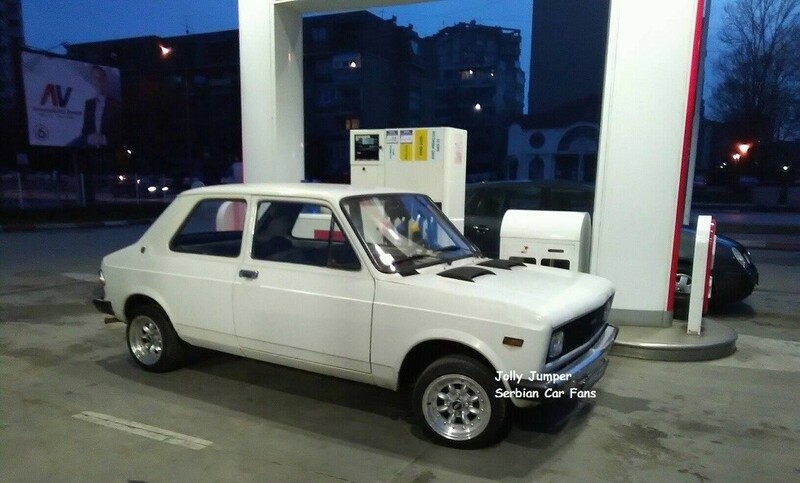 It is Fiat 128 rally based hatchback. I never had courage to put bike carbs on a Polo. So I decided to try it on Zastava, and to see if it works. I like that this is the best bike carbed forum on the net. 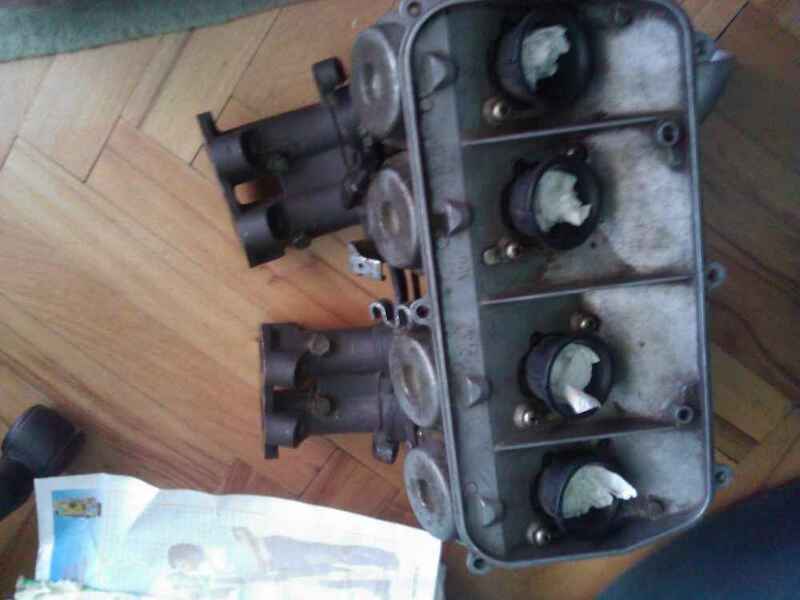 I also have twin Dellorto 40 dhla carbs, but they are not that interesting to me as bike carbs..I might sell them. Zastava is 1.1l engine (1116ccm), 44 kW @ 6000 rpm /55hp, 83 Nm @ 4400 rpm . 0-100 around 17s. It has one barrel carb as standard, so I wanted to get some more performance out of the engine. I tried to mount Honda CBR 600 F1 carbs on it. I made manifold from Yugo Efi manifold, it worked good. Had few problems, I will write them later. Hope that you will like the car. Here some photos when we mounted the carbs, and some when I bought the car. I bought it for a very good price, and it is in very good condition. 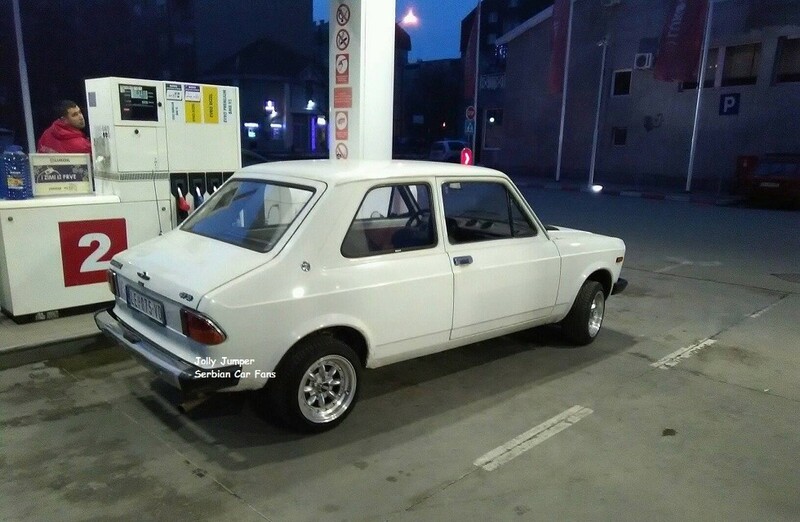 It is the car that is classic here, it used to be common car in Serbia/Yugoslavia, but now it is becoming rare. Here are some photos, I will add some more photos soon. Kiran_182, thank you for your response. I hope that it is interesting project. 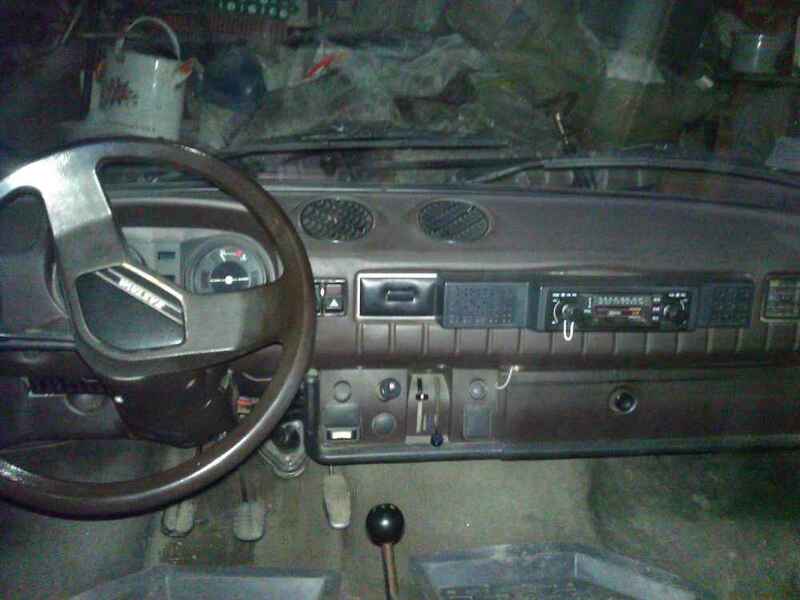 It is unusual car. It has some identical parts as Golf Mk1 and Mk2. Dizzy is the same, and some electrical parts. This model has the one without vacuum advance, newer models have the vacuum advance on dizzy. This model does not have servo brake, newer ones have. It has bit stronger cam than Polo. I will do my best post photos and etc, it is my hobby project so I don't have too much time for it. Idea is to install the carbs first and make it running as it should. Then, to get some performance. It has 9.2:1 compression ratio. With two barrel Weber dmtr 32/32 it goes to 65hp, by adding 10.1 comression ratio, it easy goes to 70-75hp. I would be happy to get some better throttle response with Keihin, and maybe around 65hp, then I am planing to put 10.1 :1 compression ratio head with bigger set of valves and bit bigger ports. Rolling road is around 300km from my town so I must make it run, so I can take it to rolling road. First idea was buying Polo mk1, but they are rare here, it is hard to find them in relatively good condition. Then to put the carbs on it. So I am still searching for a good Polo. That car is my childhood dream. I had problem with the carbs, I need to change O rings. It had good idle, but vacum pistons were vibrating, which was strange to me. I tried carbs without air filter, and I didn't sealed air corrector-as shown on the photo. It was so loud, and had bit slow throttle response. 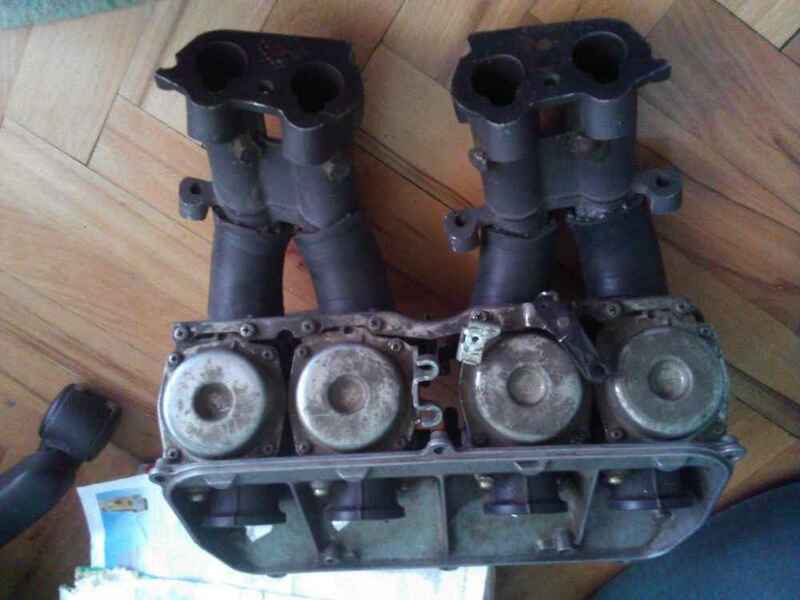 It is 1.1l SOHC engine, the same as Fiat. 55hp in standard. If carb modification works good on this engine, I will do swap to 1.4l Sohc 75hp, and do all that I did on this 1.1l engine. I opened carbs today, they had 2x105 jets and 2x108. In standard they should have 4x105 jets. That got me bit upset, so I will redrill them to 110, to be sure to have four same jets. Idle jets are 35 standard, diffusers are 32mm. And then I will try it again. I will post carb photos tomorrow. Thanks for the kind words. 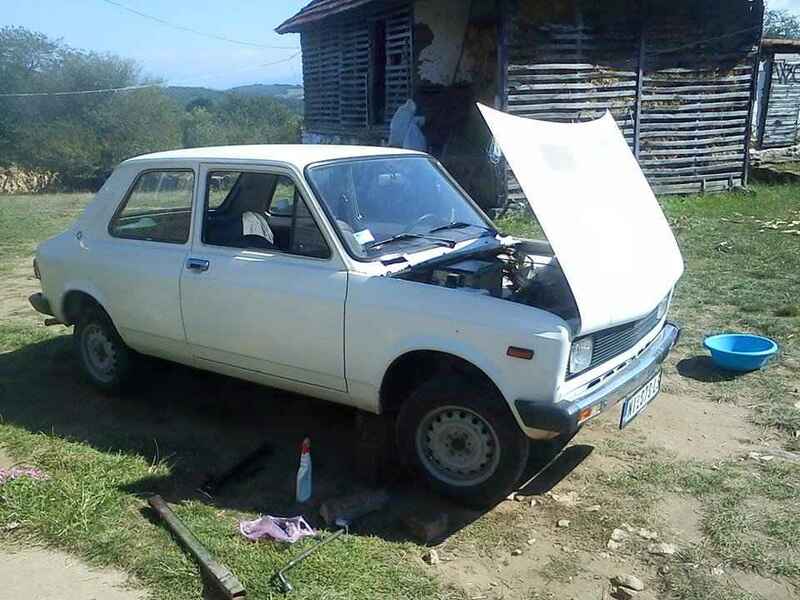 Car was exported to UK as Zastava 311. It is quite rare here to. It is 1984. model. It is solid to work on, but I really like that retro charm. I need to find more time to sort details and clean it. It set in garage for two years. I bought it from first owner who got old, and couldn't drive it any more. He really loved this car. So I will do my best to give a good home to it. I am planing to sort out details till spring, lot of plans and time correct parts to make it cooler. Some updates, my car got registration plates and it is runing nice. It is weekend driver. I've got Smor rims 7x13 inch rims, 175/50 tires, I was so happy when I mounted them. Now, car needs to be bit lowered to have a right stance. Hope that you will like it. I mounted Nardi wooden wheel, Talbot rearview mirror, I need to mount chrome wipers...etc. Engine is still standard, it got Digiplex2 ignition except Bosch one, but I am planing on mounting those CBR F1 carbs soon, and I will post some photos and videos too. I am making AFR gauge too, I will post photos when I finish it too. Could anyone tell me how to see where is air corrector hole on those carbs?